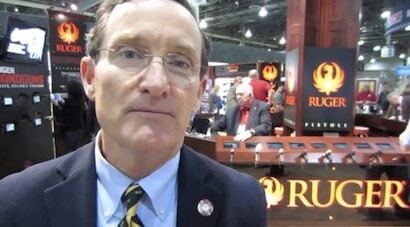 Is Ruger Firearms pulling its guns from the California marketplace due to the state’s mircrostamping requirement? Despite what you may have read on the Internet, it’s a question that only one man can answer. 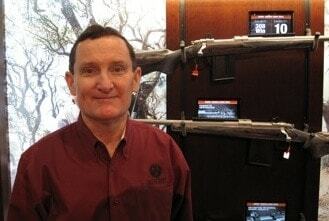 That man: Mike Fifer, CEO of Ruger Firearms. And they’re not alone in the fight. As Guns.com noted in an article on Monday, the National Shooting Sports Foundation and the Sporting Arms and Ammunition Manufacturers’ Institute recently filed a lawsuit in the State’s Superior Court challenging the mircrostamping requirement, claiming that it’s unfeasible due to limitations and problems with microstamping technology. Under the law, which was signed by former Gov. Arnold Schwarzenegger back in 2007 and is just now taking effect because the private patents that precluded the law from taking effect have expired, requires new guns sold in the state to have mircrostamping capabilities. For clarification, gun microstamping is a technical process that uses laser technology to engrave microscopic gun information such as make, model and serial number on the tip of the gun’s firing pin. Desired information can also be engraved on the breech face or other parts of a firearm. Yet, in reality, as pointed out in previous Guns.com articles, microstamping is a seriously flawed technology that is easily circumvented. This is not conjecture or biased pro-gun rhetoric; several independent, peer-reviewed studies have confirmed this fact. One such study published in a scholarly journal for forensic firearms examiners showed that criminals could use common household tools to switch firing pins with unmarked spare parts rendering the microstamping useless.